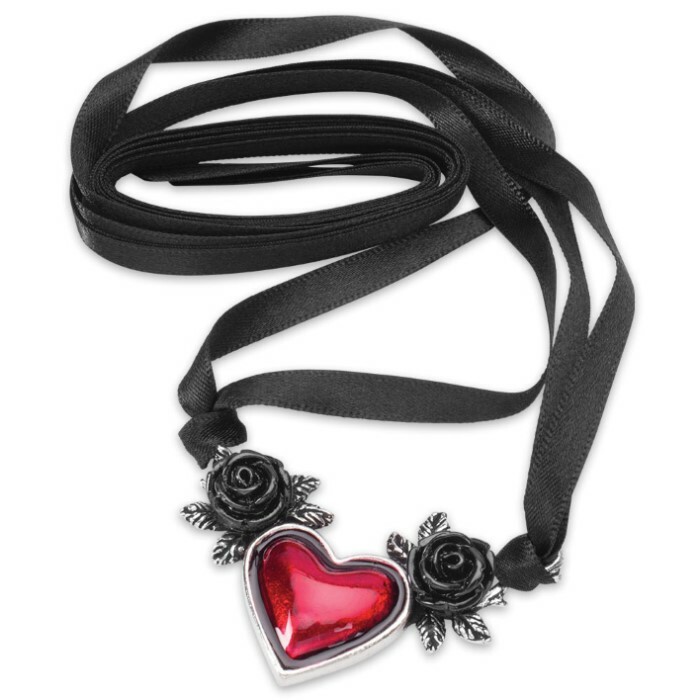 The black roses and bloody red heart of dispassion are a telltale mark of the female corsair, an amorous she-wolf of the sea, who destroyed men's hearts. 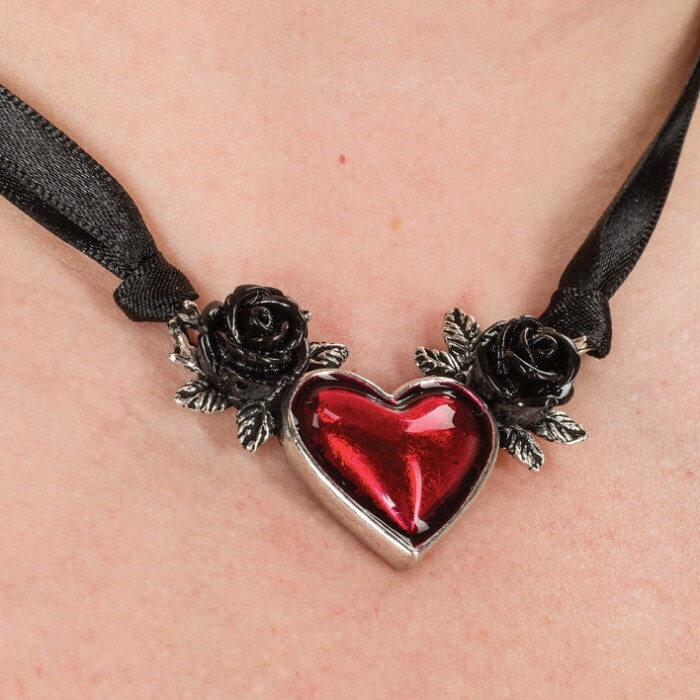 Wear the Blood Heart Necklace, a pearlescent-effect red enameled pewter heart, flanked on either side with black acrylic and pewter roses, to channel the power of the legendary pirate women. 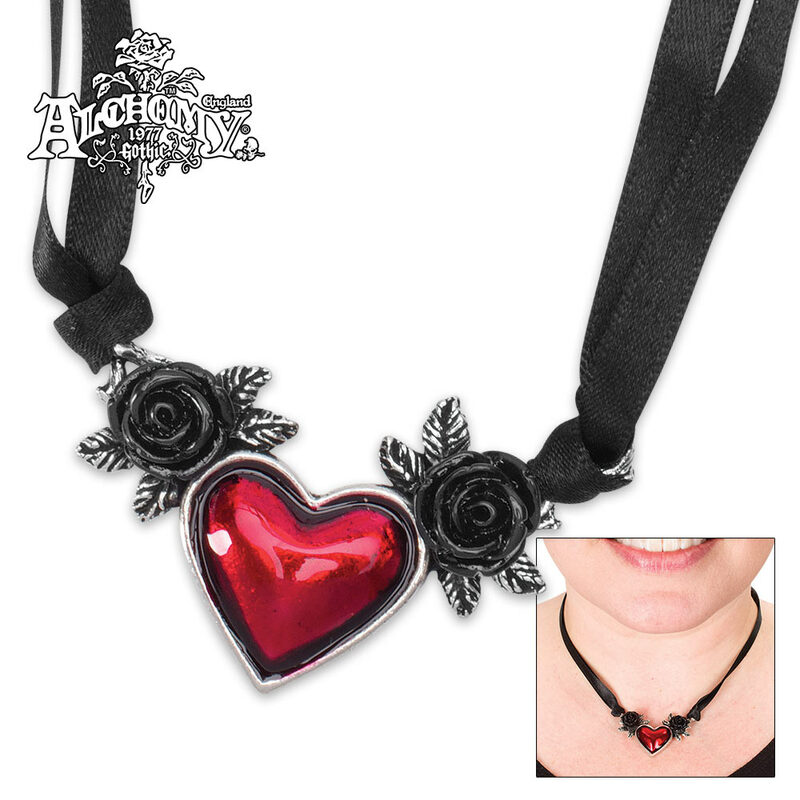 It’s suspended on a split, 38" long, doubled black ribbon necklace that ties around your neck.